With 2018 done and dusted, it’s time to look back at some of the best performers of the year. There were a couple of standout players last year, so it’s only fitting that we create an ODI XI comprising those players who impressed the fans with bat and ball. Players’ selection into this team is based solely on their performances last year and how well they contributed to their team’s success. We also took into consideration players’ batting position and bowling type to ensure the perfect combination is selected. Selecting the best ODI XI was tough considering the fact that there were a lot of players who performed really well. Anyway, here’s our best ODI XI of 2018. There are probably no better opening batsmen in the world than these two. It goes without saying that 2018 was a great year for Rohit Sharma and Jonny Bairstow. He would go on to score centuries against England, Pakistan and West Indies even crossing the 150 run mark on two occasions. 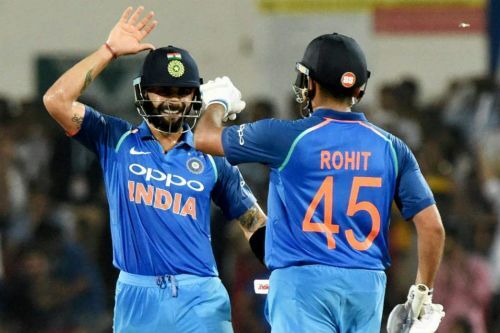 His highest score of the year came against the Windies when he scored 162 runs from 137 balls, a knock that saw India post a mammoth total of 377/5. He ended the year with a total of 1030 runs in 19 matches at an average of 73.57. He scored five centuries and three half-centuries. Jonny Bairstow also had a similar year as Rohit Sharma. 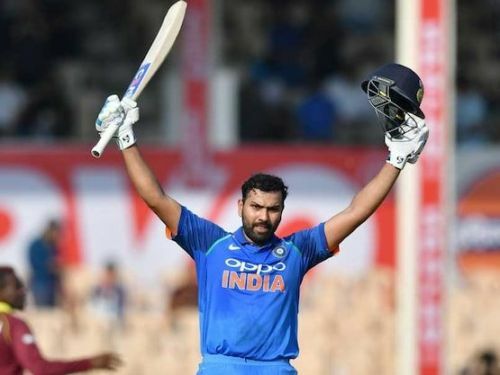 He started the year in a similar fashion as Rohit, but it wasn’t until the series against New Zealand where he gained a lot of notoriety after scoring back to back centuries. His form continued when England took on the Aussies at home. He scored a blistering century and a decent half-century. He finished the year with a total of 1025 runs in 22 matches at an average of 46.59.